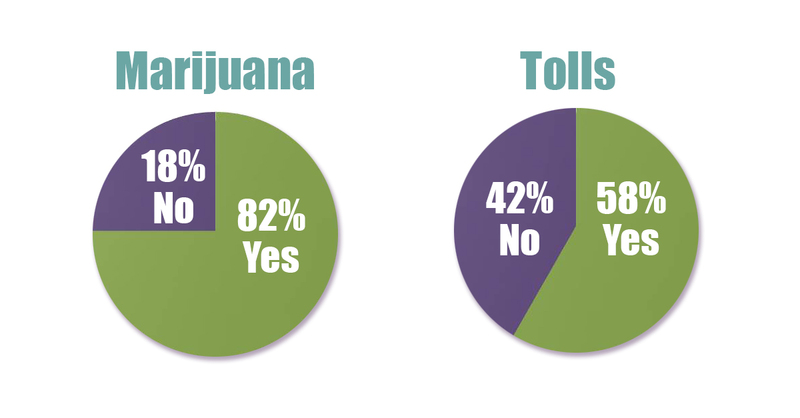 Thank you to those who took time to answer my online survey on the implementation of tolls and the legalization of marijuana. I wanted to share the results with you and here they are! Thank you for participating and for giving me feedback on these critical topics. I will continue to listen carefully as we continue our dialogue regarding these important issues for our state.